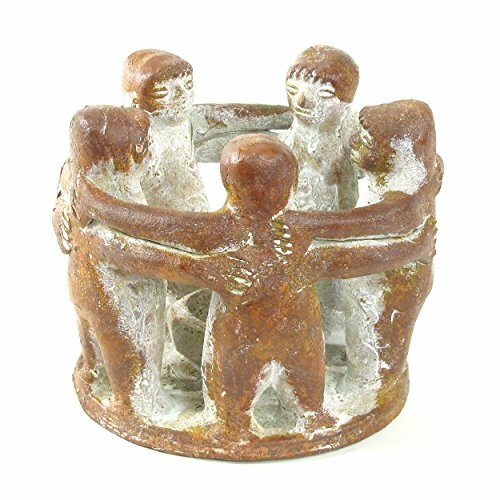 The Circle of Friends is a unique piece of pottery art. The design depicts a ring of friends embraced around a small bowl in which a candle can be placed. When a candle is lit the shadows created will dance around the room as the flame flickers. This is a handmade item and each candle holder may have slight variations. If you have any questions about this product by Sunland Artisans, contact us by completing and submitting the form below. If you are looking for a specif part number, please include it with your message.